What Should I Do About My Loose Braces? 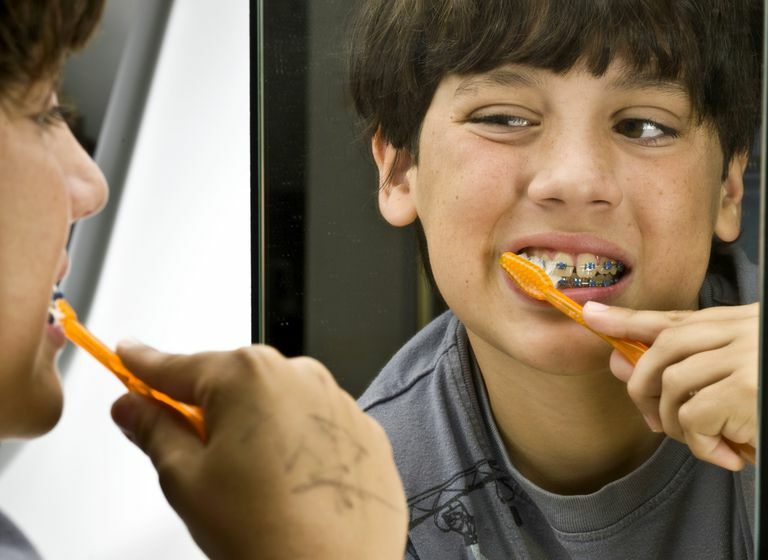 Loose braces may be handled in a variety of ways depending on the situation at hand. If your braces have become loose, you need not worry, because dealing with a loose bracket is easier than you might think. How Do Braces Become Loose? Call your orthodontist or dentist right away. If you are due for an archwire change within a few days of the bracket becoming loose, your orthodontist may suggest that you are able to wait until your scheduled appointment. If your next appointment isn't for a few weeks, you may be instructed to book an earlier appointment to have the braces re-cemented onto your teeth. Either way, the office should be informed, so they are able to prepare in advance for the extra time that is required for this type of appointment. Keep in mind that anything floating or loose in the mouth puts you at risk for choking or swallowing whatever it is. The bracket is essentially "floating" on the wire when it has become loose, which may cause it to slide into a position where it causes some discomfort. If the bracket is rubbing on the gum, place a piece of the orthodontic wax that they gave you over the bracket as needed. If you don't have any wax, use a piece of sugar-free gum instead. If the small rubber elastic that surrounds the bracket has also come off, you will want to carefully try to take the bracket off the wire. Using a clean pair of tweezers, have someone carefully grab onto the bracket with the tweezers while they use the fingers, on the other hand, to grab the bracket as the tweezers pull it off the wire. Without the elastic on the bracket, the risk that it may fall into the mouth increases significantly. If you are not comfortable having someone do this for you, contact your orthodontist. Promptly taking care of an orthodontic emergency, such as having loose braces, will ensure that your orthodontic treatment continues to stay on track. When your braces become loose, the teeth involved are no longer moving. Having your braces become loose may set your treatment back by months. The teeth will then need to "catch-up" to the other teeth around it. Sandilands T. Four Steps to Fixing a Broken Braces Bracket. http://www.colgate.com/en/us/oc/oral-health/cosmetic-dentistry/adult-orthodontics/article/four-steps-to-fixing-a-broken-braces-bracket-0914. Published September 1, 2014. Are There Foods You Should Avoid If You Have Braces? This rare condition, known as hyperdontia, can cause dental complications.